This training trip is one of several and will add to the growing list of classroom teachers prepared to implement Souns in their classrooms at the beginning of the coming school year. Additionally, we had a training session for Center Supervisors. 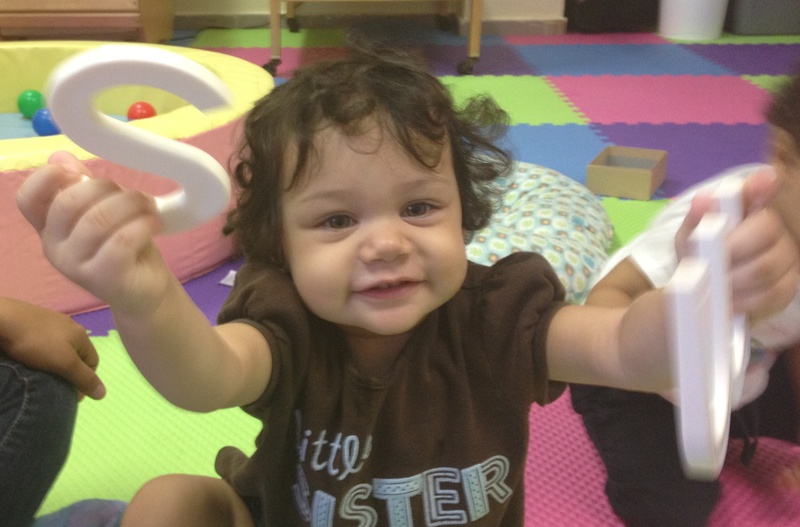 In early training for Souns, it is best to demonstrate how the symbols are initially presented with children in the classroom. While our teacher training was held in a Head Start Center open in June and not yet implementing Souns, the Supervisors’ training the next day was held in a facility where no children were available Fortunately, a mother volunteered to bring her child for the demonstration. The child was one from a class whose teacher has had Souns for a month. As my planned initial lesson was not possible, I chose to present a simple Souns evaluation. What a delight to see the ease with which this three-year-old child demonstrated her confidence with the five letter-sound associations I presented to her. She has only been exposed to Souns for one month. Imagine this young person’s future as a reader. The training also included a serendipitous testimony – the unscheduled visit of an Early Start teacher who has had Souns materials for several months and wanted to share her students’ progress as they graduated from her class. “These children were building words with Souns like mama and papa and stop by listening to the sounds in the words,” she said. This teacher was so happy with the skills her departing three-year-olds had gained through her implementation of Souns. The future is waiting for many, but not for these children and not for these teachers. Teachers with the support they are getting in San Juan Municipality Head Start are teachers who go home feeling like they truly have made a difference. Thank you Rotary and thank you Head Start of San Juan Municipality! Because of you we all celebrate this moment of success in a world that needs to know how simple it can be for Every – YES, EVERY – child to read! This entry was posted in Head Start, Rotary Projects, SounsPuertoRico and tagged early literacy, early reading, education, Head Start, literacy, Puerto Rico, reading, Rotary, Souns. Bookmark the permalink. ← Souns in “luv” with Colorado Springs!